There is a lot of golf training aids developed for various reasons, catering to the golfer’s need to improve their swing or perfect their golf game. For kids, the same is true in training for the game. Yes, you have to make it fun, but you should also add some seriousness to it so that any child who wants to pursue a golf career will be better prepared. 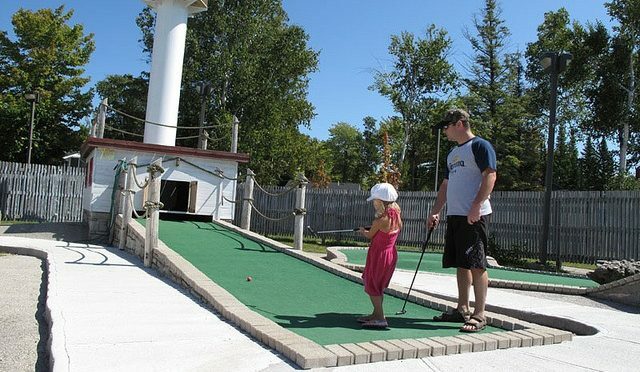 Golf is an excellent game for kids to learn. However, so that kids will want to keep practicing, you have to ensure that the game is not boring and that you have the kid’s attention during golf training. Parents should be mindful to also have fun when the game of golf is introduced to their children. A child will do what you tell him or her, but the same is true by your actions. Initially, your children are not going to take the game as seriously as you would have liked. After all, they are not professional golfers. Your objective is to teach the child a new game and then trying to use golf training aids to improve the child’s game However, make sure that they are learning at their own pace and that there is no pressure. If the child loves the game, he or she will eventually take it seriously. You will be surprised at the level of commitment your child will assume in playing the game of golf. With a short span of attention, a child may not be able to endure the long hours of golf. However, with a golf training aid, you can get the child to practice off the golf course first and then get a knack for the game to continue. A good training aid will help to provide quality golf training that gets results. Of course, your child may become frustrated in the beginning, but with our patience and more importantly, with the right golf training aid, you will notice improvement in no time. Be sure to get a golf training aid that is easy to carry around and easy to use. Make sure it is easy to set up in any location and not just on the golf course, but possibly in your backyard, in a park, on the beach or in a local community hall. This will allow your child to practice in a familiar location. To invest in your child’s future in golf, consider obtaining the best golf training aid here.